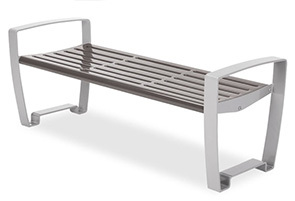 Graceful style and strength, Newcastle flat benches provide a unique modern look to indoor and outdoor seating areas. 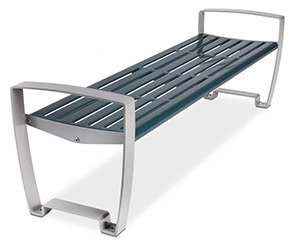 These 4' and 6' backless benches are crafted with a contoured, slotted bench seat with uniquely styled frame and armrests. The seat assembly is protected with a plastisol coating that is finished with a tint of powder-coating. The frames get an application of state-of-the-art primer with a powder-coat finish—a proven process that prevents corrosion, peeling, cracking and fading. Comes standard with stainless steel hardware. Benches are engineered to be portable for flexibility in placement or surface mounted to prevent movement; mounting hardware not included.